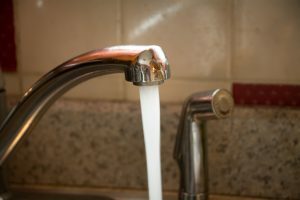 Lead contamination is a widespread problem in many areas of the US, so it’s important that you inform yourself and protect your loved ones from the harmful effects caused by lead exposure. Thankfully, there’s a company whose aim it is is to make Southern California a safer, healthier place to live, one building and one person at a time: H2 Environmental Consulting Services. In this blog, we’re going to outline some essential information you need to know about lead contamination and tell you exactly what you should do if you suspect that your residential or commercial property could be contaminated with lead. First, let’s start with the most basis question: what is lead? It’s a powerful neurotoxin that interferes with the development and function of just about every key bodily organ – including the kidneys and the central nervous system. Lead exposure in young children is particularly dangerous because it impedes the proper development of the central nervous system and brain. Is this a problem I should actually be concerned about? Absolutely, yes. The Centers for Disease Control named childhood lead poisoning as the #1 environmental health risk facing children in industrialized countries, including the US, today. They indicated that about 1 out of every 6 children age 6 and under has elevated levels of toxic lead in their bodies today – about 3 million children. Remodeling older homes often results in lead poisoning because lead-based paint was used in just about every building prior to 1978. If proper precautions aren’t taken during renovations, lead dust and paint chips can fly into the air and be ingested by anyone nearby. Since kids often play on the floor, they’re especially susceptible to lead poisoning during and after renovations. Lead poisoning also sometimes happens when toys are imported from countries that don’t have as strict regulations regarding lead in toys (such as China). Naturally, kids are curious, and they put the toy in their mouths – unwittingly exposing themselves to lead. Some people hear about how lead exposure is so common and widespread and think, well, there’s not much I can do about that. But that’s not the case at all! Lead poisoning is totally preventable. There are plenty of key steps you can take to ensure your loved ones aren’t exposed to lead. The first and most important step to take is to have your home and any commercial properties you own thoroughly tested for lead. H2 Environmental Consulting Services provides complete lead testing services, and we’d be happy to make an appointment at a date and time that’s most convenient for your busy schedule. Simply give us a call at (800) 524-3578 and we’ll schedule your environmental evaluation for your earliest convenience. We have all the latest technological tools and expert techniques to analyze every molecule of your property – its water, air, soil, and physical structure. If lead is present, you can rest assured that we will detect it and dispose of it thoroughly according to federal and state laws. Call us at (800) 524-3578 today!